For a respite from the saga of the fiscal cliff why not read some of the latest books on monetary economics and policy? Below is a list of books on money published in 2012 which I found to be interesting and provocative. You can find a common theme in these books: that poor economic performance provides convincing evidence of the need for a sound rules-based monetary policy. But you can also find disagreement about how to achieve such a policy with proposals for interest rate rules, money growth rules, fixed exchange rate systems, nominal GDP targeting, and gold and commodity standards. Though my favorite is a simple interest rate rule (also discussed in this book on the Taylor rule), one can learn a lot by studying the case for other rules. Boom and Bust Banking: The Cause and Cures of the Great Recession, David Beckworth (Ed,) The Independent Institute, Oakland, California, 2012. I enjoyed reading this book, perhaps because I agree so much with the general themes and conclusion that U.S. monetary policy—by creating a boom and a bust—led to the financial crisis and the great recession. But, as I said in my back cover review of the book, David Beckworth and the other authors—including Lawrence H. White, Diego Espinoza, Christopher Crowe, Scott Sumner, Jeffrey Rogers Hummel, William Woolsey, Nick Rowe, Josh Hendrickson, Bill White, Larry Kotlikoff, and George Seglin—go much further. For example, the chapter by David Beckworth and Christopher Crowe puts forth their original theory of the Fed’s “monetary superpower” status and the resulting unfortunate international repercussions of these boom-bust monetary policies. Scott Sumner writes on why nominal GDP targeting would work better than recent and current policy, and Larry Kotlikoff explains how his narrow banking proposals would help to prevent future crises. More generally the authors of this book show why economic policy got off track, why alternative explanations of the boom—such as a global-saving glut—are flawed, and why monetary policymakers must return to rules-based policies in the future. The clever irony of this title, of course, is that the world is still largely on the dollar standard, despite its being unloved. Ron McKinnon, my Stanford colleague, begins by asking why the dollar standard is “unloved” and explains that it is because U.S. monetary policy has often been mismanaged. He particularly laments the periods when U.S. monetary policy caused global instability, including the “Nixon shock” with the ensuing inflation in the 1970s and what he calls the “Bernanke shock” in recent years, and on the latter he is on the same page as David Beckworth and Christopher Crowe. McKinnon is much more positive about policy in the 1980s and 1990s. He clearly explains why the Fed’s current zero interest rate policy causes destabilizing carry trade opportunities and commodity bubbles, and is interfering with the allocation of capital. He also shows why, despite all these problems, the world has continued to use the dollar, warning that it will not last if American monetary policy does not mend its ways. 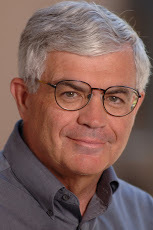 McKinnon has always been an advocate of rules-based policy, but has focused on an international system of fixed rather than flexible exchange rates, and that view is evident throughout the book. As the title suggests, this collection of essays, which Judy Shelton and Alex Chafuen have put together, makes the case for many different “roads” to the goal of a sound rules-based monetary system with contributions by Gerry O’Driscoll, Steve Hanke, Allan Meltzer, Jerry Jordan, Sean Fieler, Lew Lehrman, George Selgin, and Lawrence H. White, the latter two contributors also included in the Beckworth collection. Shelton gives a nice short summary of all the chapters in the Forward. 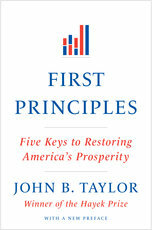 For example, O’Driscoll hammers home the inherent problems with discretionary monetary policies and shows why he believes the gold standard would be an improvement despite its imperfections, a proposal that Lew Lerhman makes the case for in his chapter and in more detail in the second edition of his book The True Gold Standard. In contrast, in Meltzer’s nice review of his monumental history of the Fed, he concludes that a more rules based policy like we had in the 1980s and 1990s would be sufficient. Hanke reminds us that good monetary policy means more than keeping inflation low, and raises questions about the view that policy is just fine if an inflation target is hit. Seglin’s essay in an informative excursion into the operations of the New York Fed in the money markets with a concrete proposal for the Fed to dramatically broaden and increase the number of dealers it engages with. Jerry Jordan’s essay focusses on fiscal discipline rightly arguing that bad fiscal policy usually leads to bad monetary policy. The Great Recession: Market Failure or Policy Failure? Robert Hetzel, Cambridge University Press, 2012. Hetzel makes a compelling case that policy failure was the main cause of the recent financial crisis, and more generally that “monetary disorder” rather than a “market disorder” is the cause of poor macroeconomic performance over many years. At the same time, he acknowledges and discusses disagreements among those who argue for rules rather than discretion. For more details see my review of this book from Economics One earlier this year. Volcker: The Triumph of Persistence, William Silber, Bloomsbury Press, New York, 2012. This book is all about monetary policy making in practice. It shows in fascinating detail how Paul Volcker, starting in 1979, was able to implement a major change for the better in monetary policy that lasted for more than two decades. It also shows how Volcker learned how to implement such a change while working as Under Secretary of the Treasury under George Shultz in the early 1970s. For more details see my review of this book from the Wall Street Review earlier this year.